Secrets for data journalists, developers, newsroom designers, engagement specialists, and more. Want to Start a Collaborative Journalism Project? We’re Building Tools to Help. We’ll be expanding and open-sourcing the tools we created to do Documenting Hate, as well as Electionland, and writing a guide that will let any newsroom do crowd-powered data investigations. A partner manager is a crucial part of making cross-newsroom collaborations work. Starting today you can download a version of the Firefox browser with the Facebook Political Ad Collector built in. We’ve open-sourced our code for loading Illinois campaign finance data. The process used to take hours. Learn how Make helped cut that down to less than 30 minutes. Our FEC Itemizer Database now tracks spending at hotels, restaurants and other facilities owned by the Trump Organization. What Is Congress Talking About? We’re using data to track the things Congress talks a disproportionate amount about every week. We’ve created a widget you can use to track fundraising and spending in the Illinois governor’s race, which is on track to break records. We’ve made it easier to sift through thousands of lobbying registration disclosures. 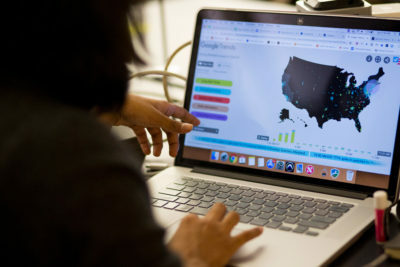 Here’s a guide for journalists, researchers and citizens looking for stories in the data. Couldn’t come to the ProPublica Data Institute? Now you can learn some of the lessons from home. 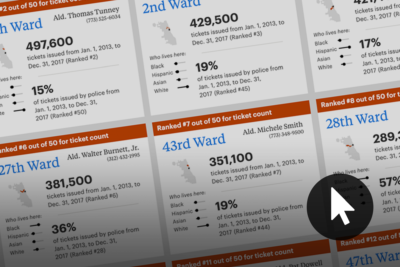 Why City Bureau and ProPublica are partnering on a community tool to make public meeting data more accessible.